Having to design calendars for the first time can be daunting. We have a checklist of things to consider before creating your design. 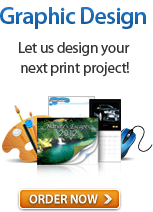 Choose a printer then see what sizes they have to offer. This is better than creating a design first only to find the printer incapable of producing calendars at the size you’ve set. Also, be aware that printers often ask for certain file requirements to be met before you place an order. For example, the resolution should at least be 300 DPI and that all important design elements be placed inside the trim line, an imaginary line in your document that represents where the design will be trimmed. Templates make it easier to design calendars. 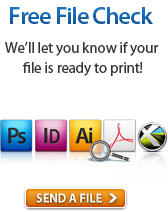 Templates usually come in different file formats like Adobe Illustrator, PDF, JPEG, and Adobe Photoshop. After opening the files, designing your calendar will be as simple as inserting your images. As far as paper goes, you want to use a thick paper like 10 pt. glossy cardstock as cover paper. Can we list specific paper stocks used for calendars? Adding a coating will not only give your calendars some shine when you design calendars but also add a light layer of protection. The insides of the calendar, however, should be printed on something more flexible so pages can be flipped with ease like a 100 lb. glossy paper. What stocks? Can we list? Again, adding a gloss coating will make your designs pop. Wall calendars makes use of binding to keep pages together. 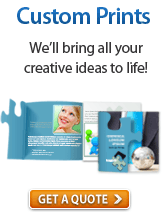 You have two options: wire-o and saddle stitch binding. What calendar types use Wire-o? What calendar types use saddle stitch? Can we provide some simple illustrations? Saddle-stitching binds calendars by driving a staple through the center fold. The binding appears cleaner because the calendar is stitched along its spine. Wire-o binding winds a double-strip wire through holes along the calendar’s edge to hold it together. It can result in sturdier calendars but stacking them together can be a challenge.